Update 5/30/2017: OKCoin has closed their bitcoin futures markets. New users at WhaleClub get a 20% bonus on their FIRST bitcoin deposit! OKCoin‘s bitcoin derivatives markets have made them one of the worlds largest Bitcoin exchanges. No other exchange in the world can match their volume, liquidity and leverage options. OKCoin is based out of Beijing, China and has fiat markets for USD and CNY. 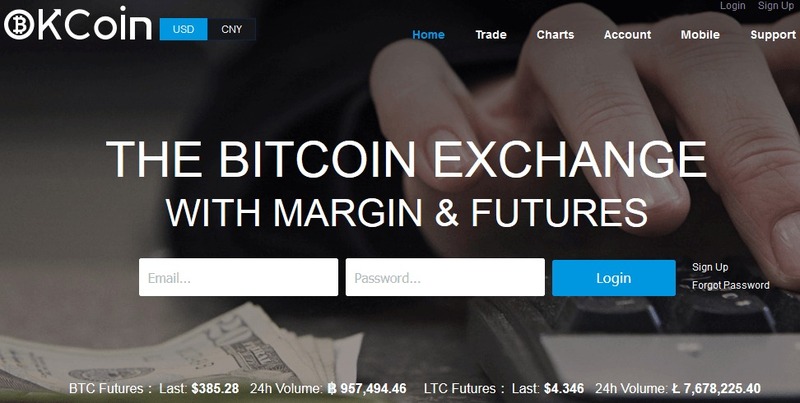 OKCoin Futures offers margin trading for bitcoin markets. If you hold bitcoin on the exchange you can trade with up to 20x leverage. 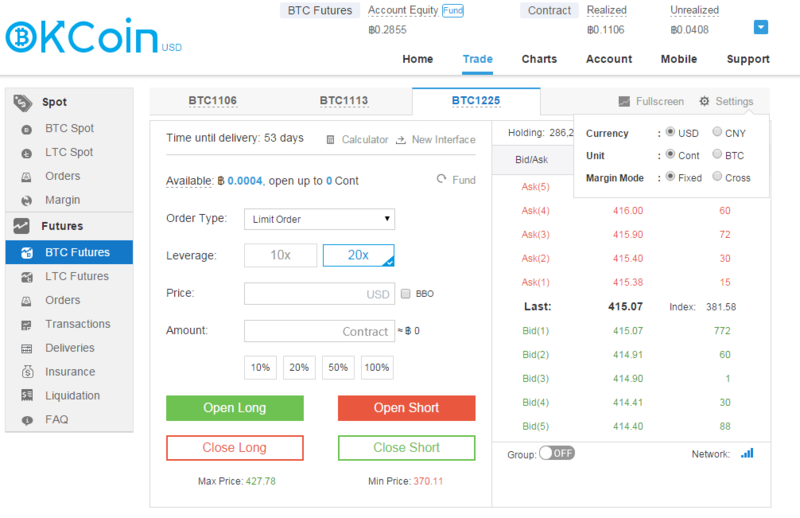 OKCoin has three separate bitcoin futures markets which settle weekly, biweekly and quarterly. There are also lending options for liquidity providers who want to earn interest on their deposits while not in a trade position. To get started at OKCoin you can deposit bitcoin, litecoin, United States Dollars or Chinese Yuan. For those without a Chinese bank account you can use OKLink to remit USD over the blockchain from your Coinbase.com wallet. Most OKCoin users deposit bitcoins and then leverage their position trading futures. Once you are on the Bitcoin Futures tab you can click fund to transfer bitcoin into your account. You can see I am trading quarterlies settlement, in which all trades will be locked in a closed on December 25th, 2015. In the top right you can see a profit/loss summary of your trades. Realized means those trades have been settled, unrealized means the trade is open and that profit/loss will fluctuate live with the bitcoin derivative that you are trading. You can change your settings to whatever you want but most users find it easiest to trade USD measured in Contracts in Fixed Margin Mode. A contract is worth $100, so your can trade 1 contract for every $5 worth of bitcoin in your futures account. Once you are funded you can take a position either long or short. Long means you are borrowing USD to buy bitcoins with the intention of selling the bitcoins at a higher price. Short means you are borrowing bitcoins to sell for USD with the intention of buying more bitcoins at a lower price. When you use leverage, all the bitcoin in your futures account is used as collateral to repay lenders if you make a bad trade. Warning: OKCoin Futures Trading is considered high risk. The bitcoin futures markets can be extremely volatile, make sure you use a responsible position size and don’t over leverage or your position may be liquidated.